Your Ice cream happiness has arrived in a husk. 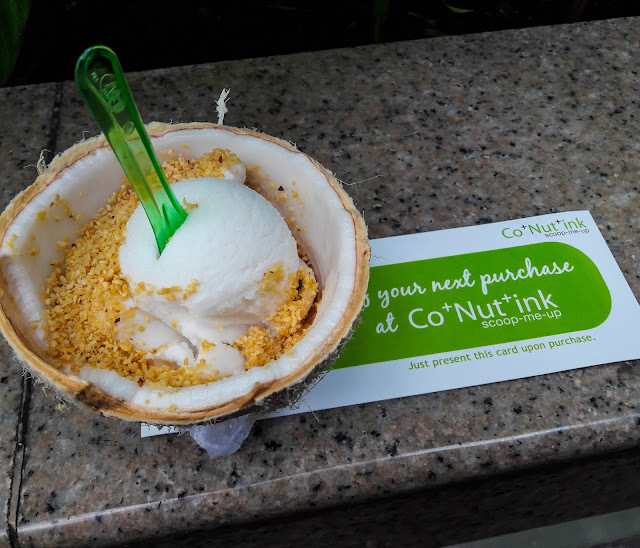 This month of December marks the arrival of Co+nut+ink(CoNutInk) at the SM Mall of Asia. Co+nut+ink highlights the wonders of Coconut in every scoop of their Ice Cream. We were lucky enough to be one of the firsts to taste this incredible Ice Cream from Singapore. At the event we had the chance to know why this ice cream was a hit in Singapore. 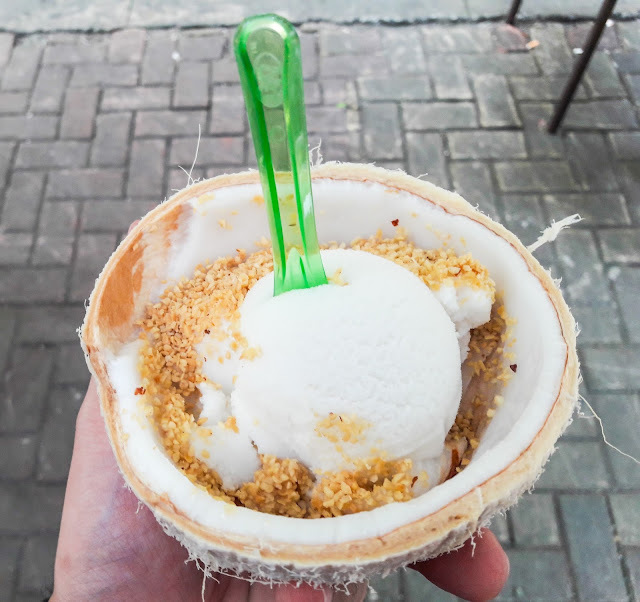 Unlike your usual ice cream that is served on a cup or cone, CoNutInk serve their Ice cream in a Coconut shell, mixed and topped with a lot of fresh ingredients. Co+Nut+Ink ice cream is made with coconut water and it is served with coconut meat on top of the other fresh ingredients. They have flavors that are very delicious and will make you comeback for more. From original to Roasted Peanuts and Mixed fruits. The event was graced by the Founder LawrenceTeng and the Brand Ambassador Sachzna Laparan who were more than accommodating with questions that were asked from them. Aside from free Ice Cream participant also received prices for answering questions about Co+nut+ink. We know you want to have a taste of freshness in a husk so visit them at the SM Mall of Asia North Arcade, SM Mall of Asia near Hypermart going to seaside walkway.